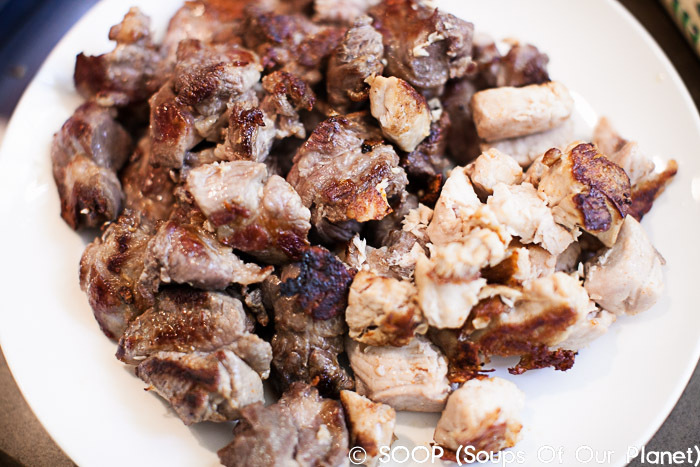 Ärtsoppa (EHRT-soh-puh) is traditionally eaten on Thursdays in Sweden. It’s said that even the King of Sweden eats this on Thursdays. This tradition dates back to the middle ages. 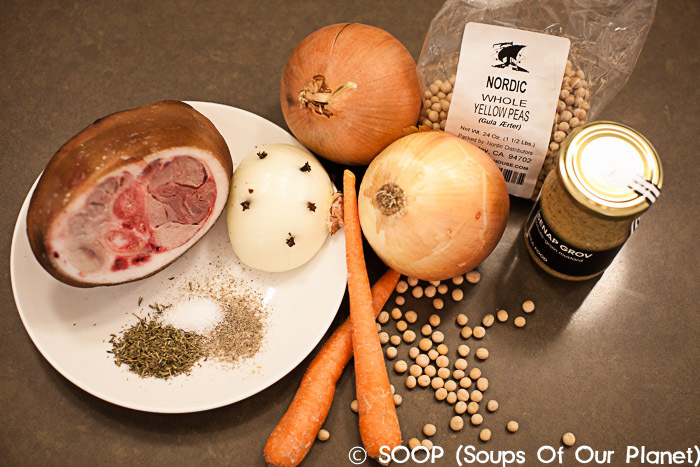 The Finnish eat this same soup, but with green peas. 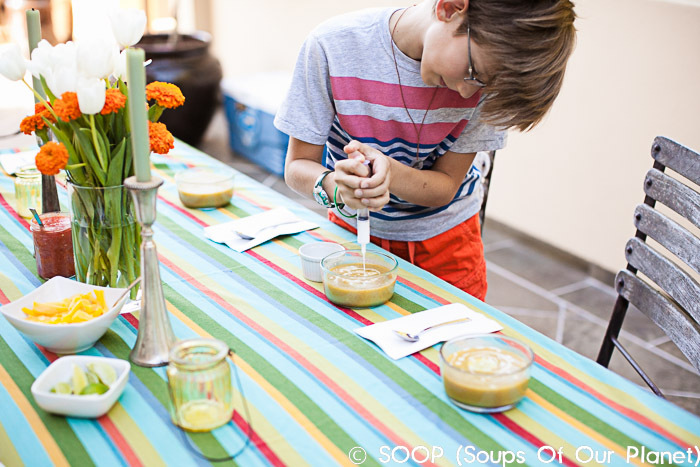 In Sweden, ärtsoppa is served in schools, the military, hospitals, government offices, and many restaurants on Thursdays. The traditional beverage that accompanies this meal is a liqueur called Punsch. It is not easy to find, but I HIGHLY recommend you seek out a bottle. It is low alcohol, sweet, and complex. It’s fantastic alone, over ice, served hot, with sparkling water, with lemon squeezed in, in your coffee… you get the point. Here’s more about Punsch. If you can’t find it in a store near you, there’s always online: K&L Wine Merchants has it available. 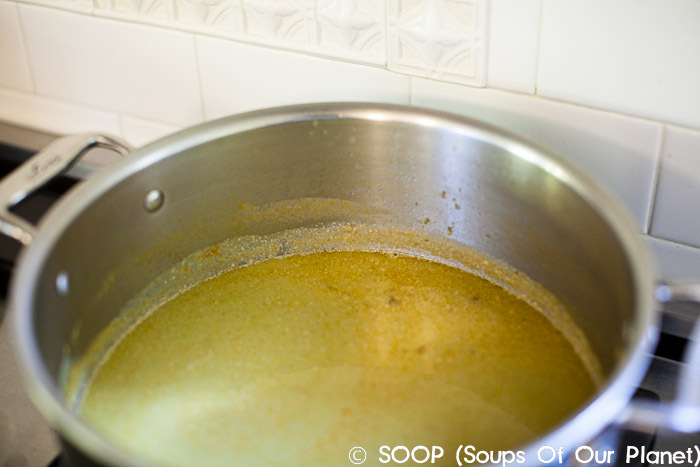 Okay, so deviating a bit from our traditional Sunday SOOP, we ate this soup on a Thursday as it is done in Sweden. Frankly, I did not give the soup enough time to cook (the recipe has been adjusted to reflect an increased cooking time), but since it was a school night, we forged ahead and just ate it a little crunchy. Even still, it was a hit. I have said my whole life that I don’t like split pea soup (sorry mom), but this recipe converted me. 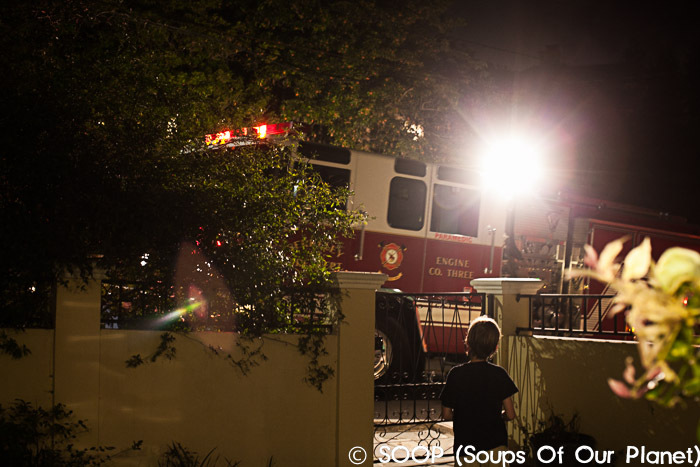 As it was cooking, I was pretty much grumbling under my breath about how it smells like split pea soup, but my boys all kept talking about how great it smelled, so I figured at least 3 people would like the soup. Turns out I liked it too. A trip to IKEA will yield you not only Swedish mustard and lingonberry jam, but also all kinds of fun chocolates, cookies, and other Swedish goodies. Maybe that’s why the kids were so excited about dinner last night! Do hunt down the Swedish Punsch too. There is a non-alcoholic version as well where you can add your own gin to make a fab cocktail. The boys got to have some of the non-alcoholic mixed with elderflower juice from Ikea. Happy campers. This is the liqueur you want to try to find. If you don’t like it, don’t worry – I’ll drink it for you. 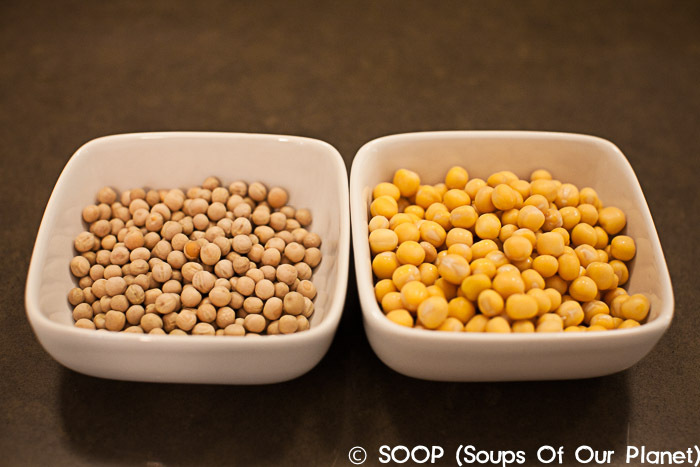 Soak yellow peas for about 12-24 hours – discarding any impurities. Before soaking overnight on the left; post soaking on the right. Huge difference! Prepare small onion by spiking it with the 8 cloves. 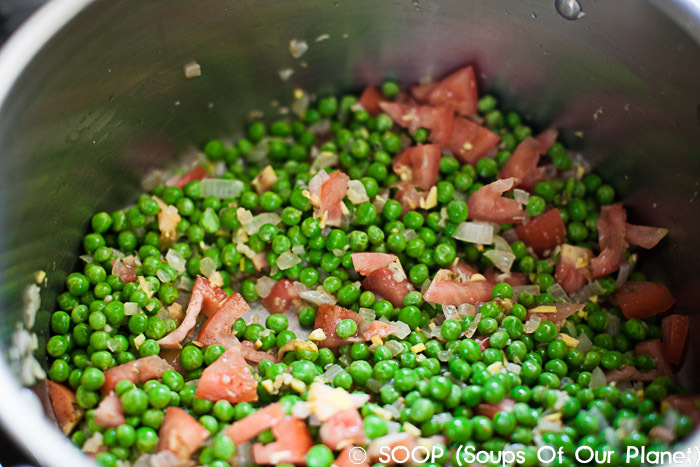 After soaking, rinse the peas and add them to a large soup pot along with 6 cups water, ham hock, chopped onion, carrot, cloved onion, and thyme. Bring to a boil then reduce to a simmer and cover. Cook with the lid on, stirring occasionally, until the peas are soft enough approximately 6 hours****. 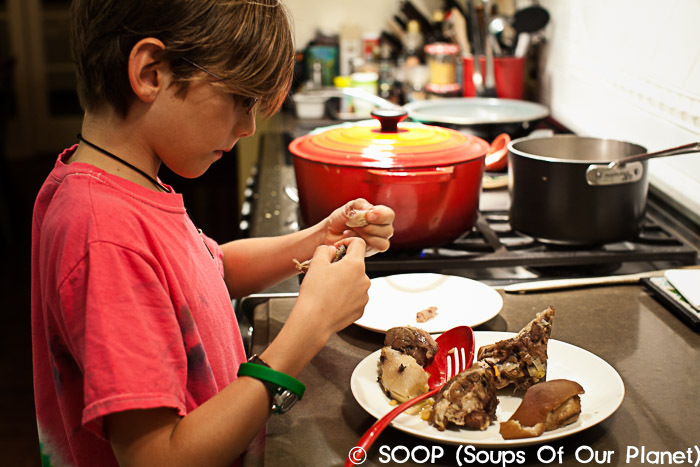 When it is tender, remove the meat and cut into small pieces and return meat to the soup – discarding bones, fat and gristle. Remove and discard cloved onion. 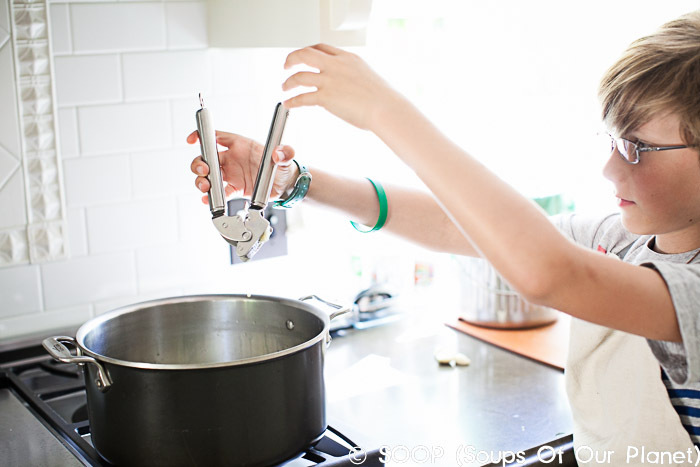 If desired, use an immersion blender to puree soup (we did). 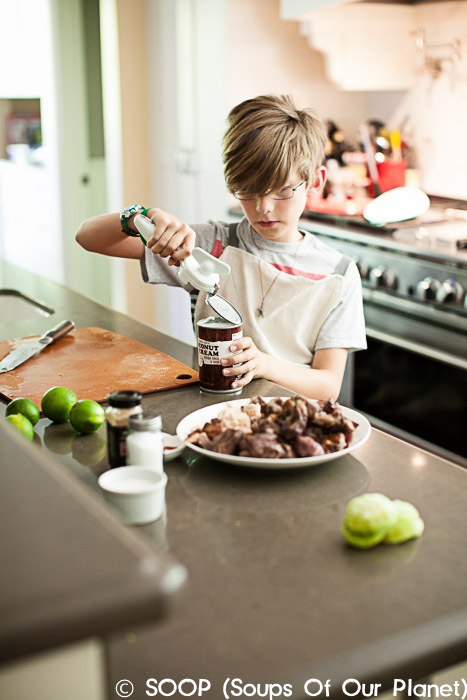 Check for seasonings – adding more salt or pepper. 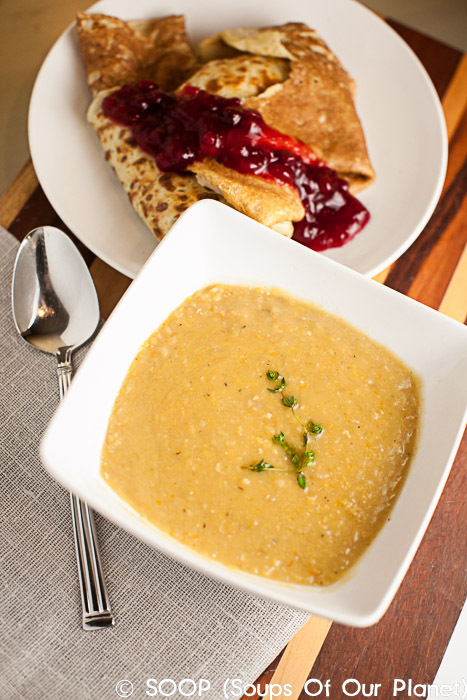 Serve with whole grain mustard – each person adding as much as they like to their tastes. * Nordic yellow peas are not the easiest thing to come by. I found them at a Scandinavian grocery store in Berkeley. They do mail orders. Nordic House has the whole yellow peas which are more traditional, but split yellow peas can be used if you can’t find the whole yellow peas. 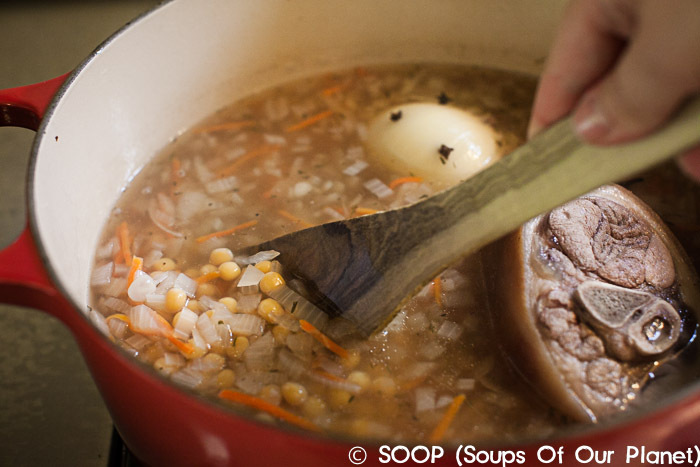 If you use split yellow peas, you do not need to soak the peas over night – just begin soaking them the morning you plan to make this soup. Bob’s Red Mill carries split yellow peas. ** This can be made vegetarian by omitting the ham hock. Since a lot of the salt/depth of flavor comes from the ham hock, please replace the ham by adding a vegetarian bouillon cube. *** Ikea sells whole grain mustard that is unlike any mustard we’ve tasted before. It’s almost like a cross of dijon, honey mustard, and gouldens. It is quite spicy, but sweet at the same time and was absolutely delicious in this soup. 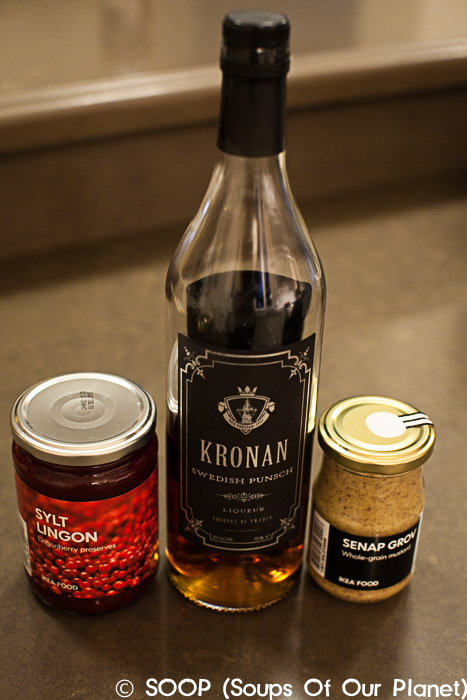 If you don’t live near an Ikea, I’d recommend dijon with a little bit of honey stirred in as a substitute. 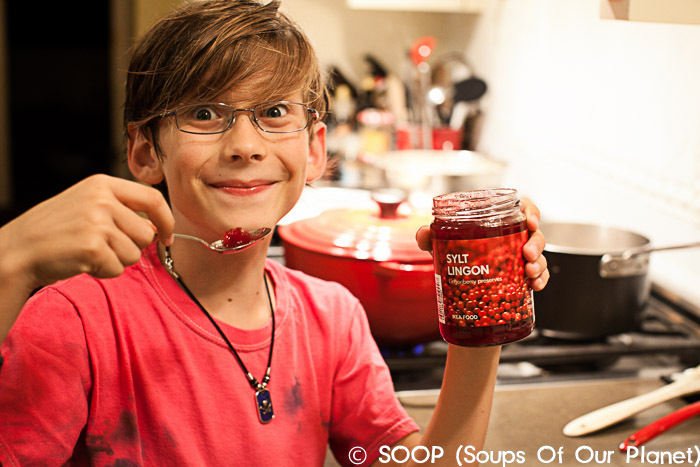 Beckett found it a little too spicy for his liking, but found the lingonberry jam quite delightful. Makes 12 pancakes depending on the size of your frying pan. 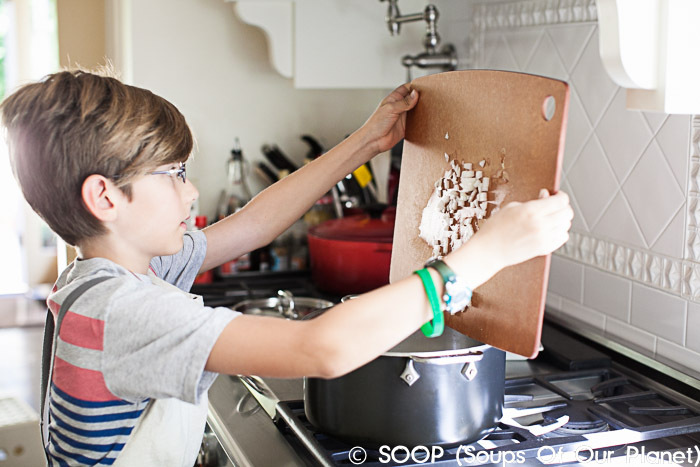 Preheat oven to “warm” or lowest setting and place a plate or cookie sheet in the oven. Whisk the eggs and add in the milk- continuing to whisk until blended. Add flour, salt and melted butter and mix together until thoroughly combined. Batter should be fairly thin – about half as thick as traditional American pancake batter. Spoon 1/2 cup of batter into a large buttered frying pan at medium-low heat and spread the mixture around by tilting the pan as you would for a crepe. 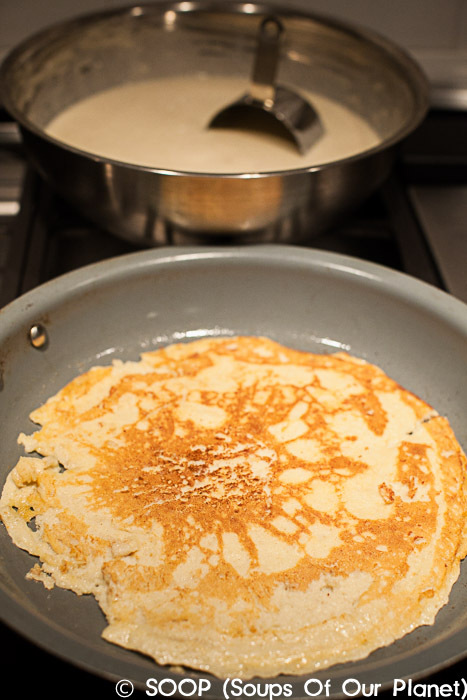 Brown the pancake on one side – watching for bubbles to form on the top. Before flipping, take a peek and make sure bottom side is browned. Flip your pancake over and brown on the other side. Once browned on both sides, place in oven to keep warm while you make the rest of the pancakes. * THIS is my go to all-purpose GF flour. It hasn’t let me down yet. I make a big batch of it and use it in everything. It was truly hard to tell that these pancakes were gluten-free. It is a group of 3 (or 4 depending on who you ask) main islands in the channel between Mozambique and Madagascar. The 4th island is Mayotte which voted to stay a part of France in 1975, but many Comorans still claim it as one of theirs. It gained its independence from France in in 1975 and has had over 20 coups since then. It is one of the poorest countries in the world where the average daily wage is just over $1. Each island has it’s own cuisine. There is very, very little to be found online about the food of Comoros, but what can be found suggests African, Arab, Indian, and French influences. It is proper to say “bismillah” (thanks to Allah) before eating. Here’s a fun video showing Comoros from a tourist’s perspective. Check out that rain! When we drew Comoros from the cup, I asked my Facebook community for a suggestion and my friend Joanne, a native South African now living in Australia, recommended Sweet Pea as a traditional Comoran soup (I hope I have represented it well Joanne! 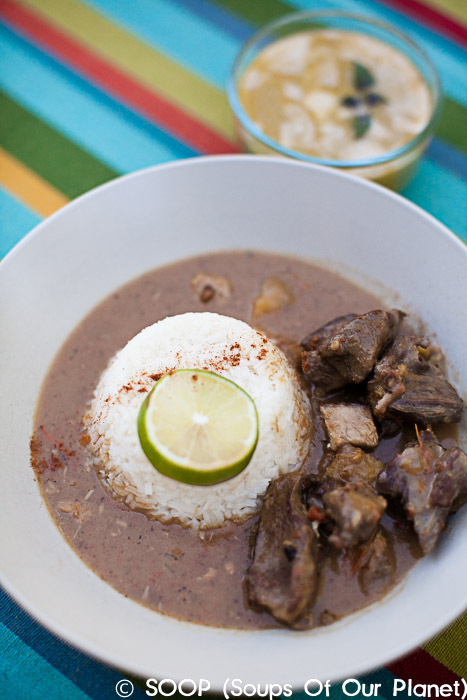 ), but my research (what little of it there is to see) kept mentioning a stew called Le Me Tsolola (or Leme Tsolola). 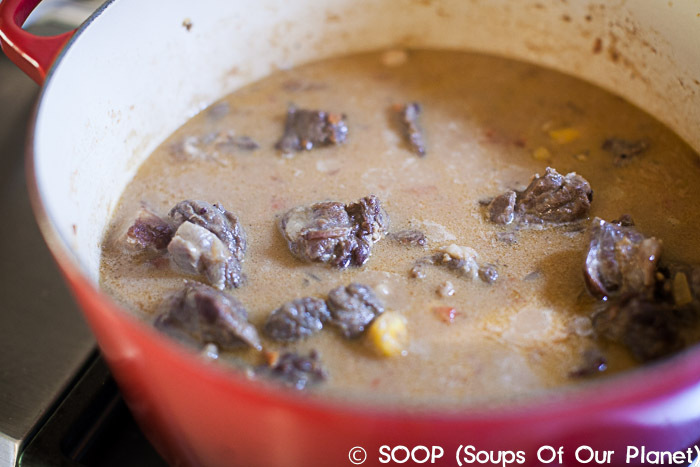 As I’ve mentioned, James thinks of soup as an appetizer instead of a meal, so for Comoros, that’s exactly what he got… a soup appetizer and a stew meal. 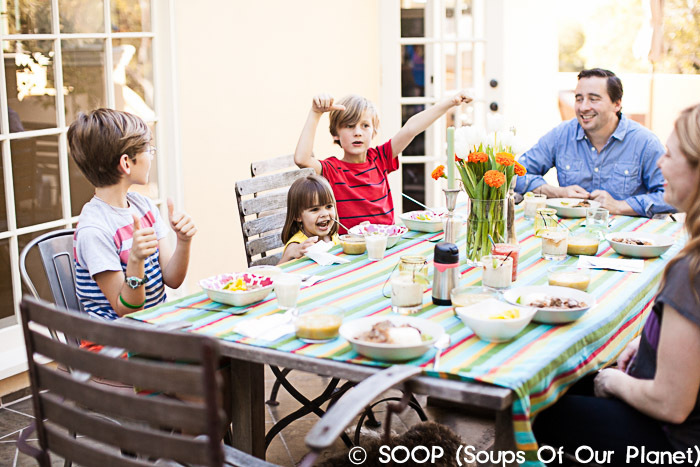 SOOP-o-rama. Our friends braved the bridge to join us, but not before I sent them on a wild goose chase for jackfruit on Clement street in San Francisco. 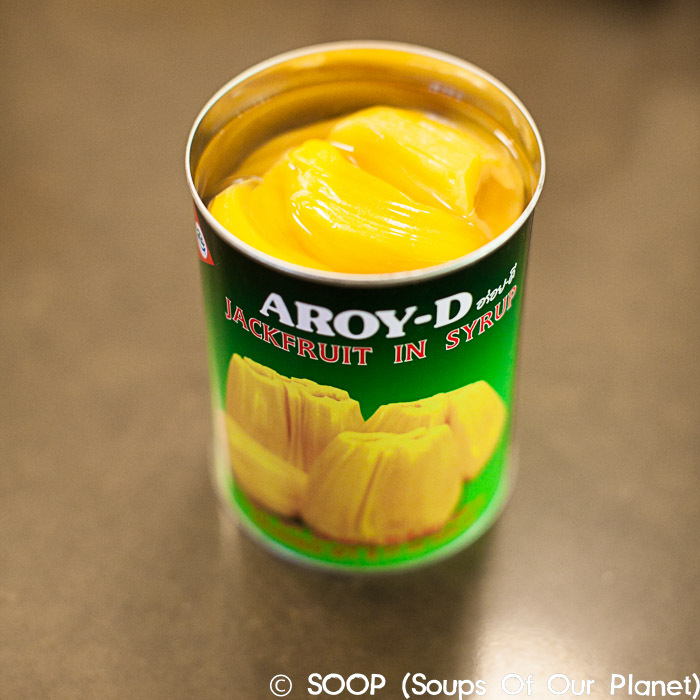 I had read that jackfruit was commonly eaten in Comoros and thought it would be fun for the kids to experience eating something that looks so, well, terrifying for dessert. 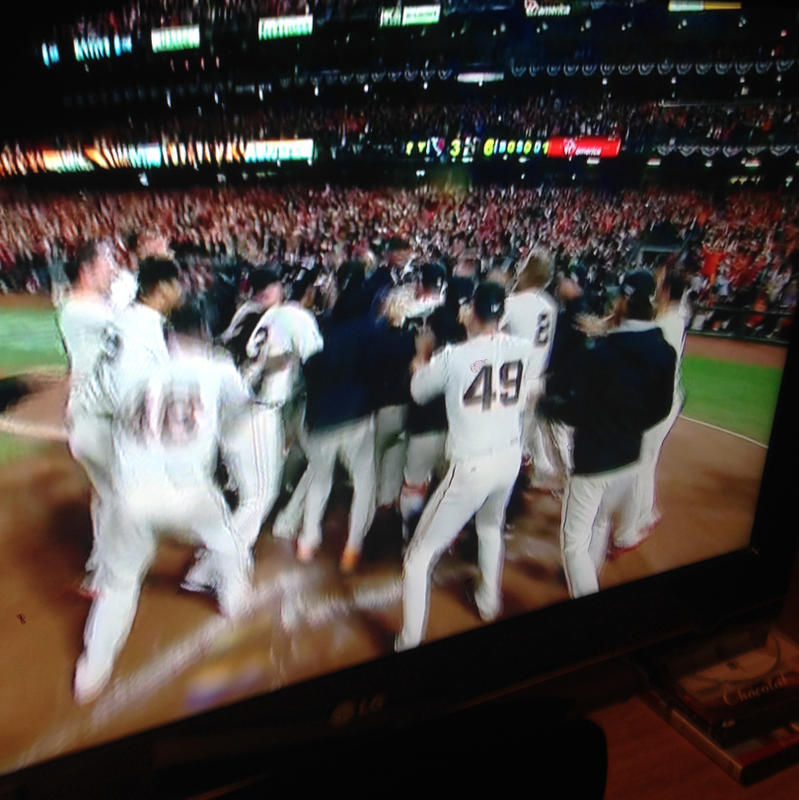 I had hunted all over the east bay – Oakland Chinatown, Koreana Plaza, Berkeley Bowl, 99 Ranch – without luck, so I sent our friends to scour San Francisco. 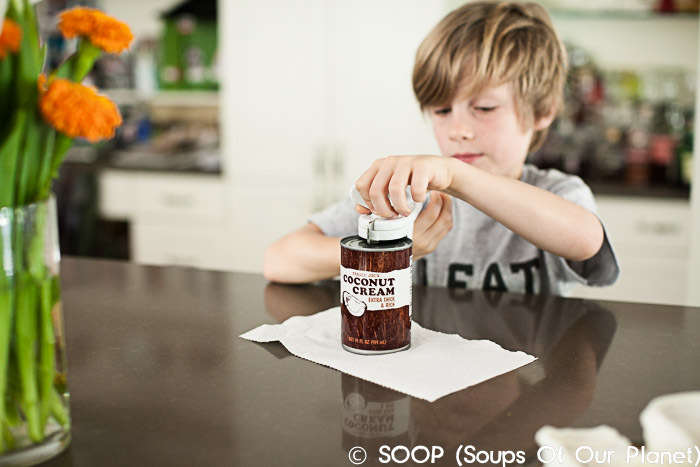 When their search left them empty-handed, we learned that jackfruit goes out of season in September. Oh well. To the right is what it would have looked like had we found it fresh (keep in mind that this is the size of a large watermelon covered with spikes. Since it was a hot October (summer in San Francisco) night and we had TWO hot soups to eat, we cranked up the Nawal (the voice of Comoros) and hit the deck (not literally, of course). I was quite nervous for this meal because not only was it utterly unlike anything I’d ever made before, but also our friends who joined us are outstanding cooks and I didn’t want to look like a fool in front of them. I’d only found a couple of recipes on which to base my creation and I worried that it simply wouldn’t work. I should not have worried. This was FANTASTIC! The pea soup had a nice refreshing gingery flavor and was a great foil to the coconut richness of the goat. The only change I would make (noted in the recipe) is that the goat was a bit grisly, so next time (and there WILL) be a next time, I will grind the goat in my cuisinart to make it easier for everyone to eat. Of course, this will be completely nontraditional, but it will taste very good. Oh – do not make this without making the Poutou (chili relish) and do not fret when you make it that it is too spicy because the spice will mellow out considerably after a couple of days . It really completes the flavors of the meal – the kick and the acid in the sauce take it over the edge into pure divine. I can also happily report that the relish is fantastic on eggs, tossed in with quinoa and arugula as a fun side dish, and over pan-fried fish. Say hello to your new little friend Poutou. This was rich, flavorful, zesty, complex and just overall delightful. I wasn’t sure about the cayenne pepper for the kids, but they all at it like crazy. There may have even been some bowl licking…. …. which was a good thing because just as the sun went down, the lights went out and we cleaned up the kitchen in candle light. The plates that were licked were a lot easier to clean. I forgot to take any photos of the Coconut Punch (probably because of the Coconut Punch), so I can’t show you how pretty it was, but imagine a nice glass of eggnog that with a bright yellow rim and a stick of vanilla in it. At first sip, our friends shouted out “Tropical Eggnog!”, I may make this at Christmas this year instead of traditional eggnog. It is quite thick and very sweet, so it was maybe not the best drink for a hot night, but regardless, nary a drop was left by the end or our 90 degree day. 8 thumbs up. 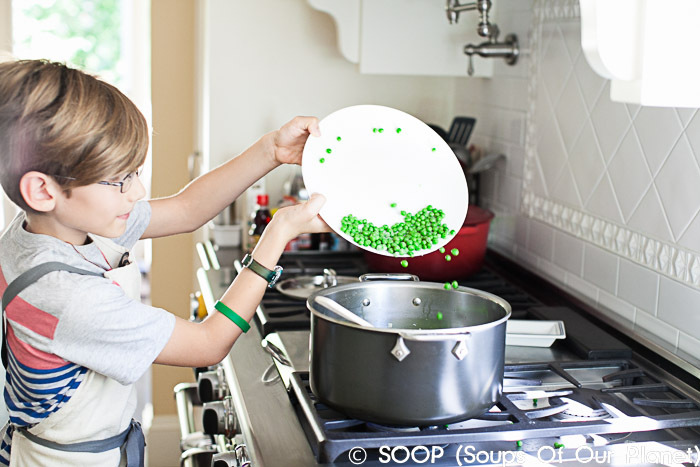 Remove peas from the freezer and place on a plate on the counter to thaw while you do your chopping. 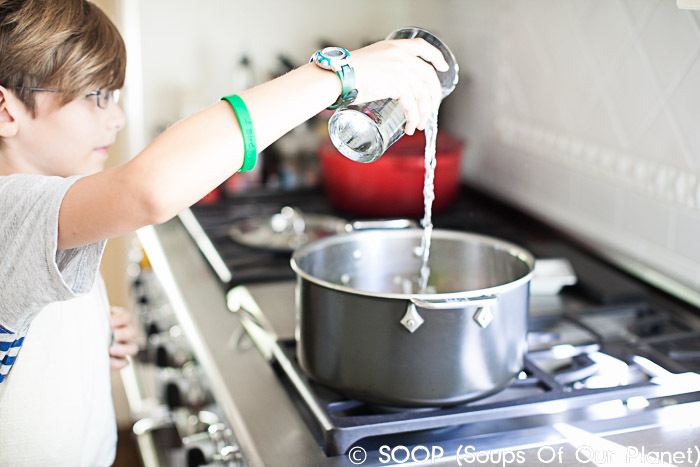 Meanwhile, over medium-low heat, heat olive oil in a large pot a 4 quart saucepan and add the onion and garlic. 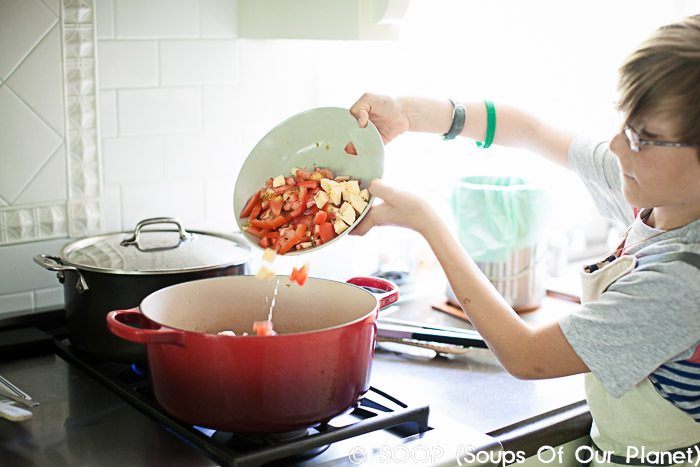 Gently cook for 5 minutes, stirring often, until onions have softened. 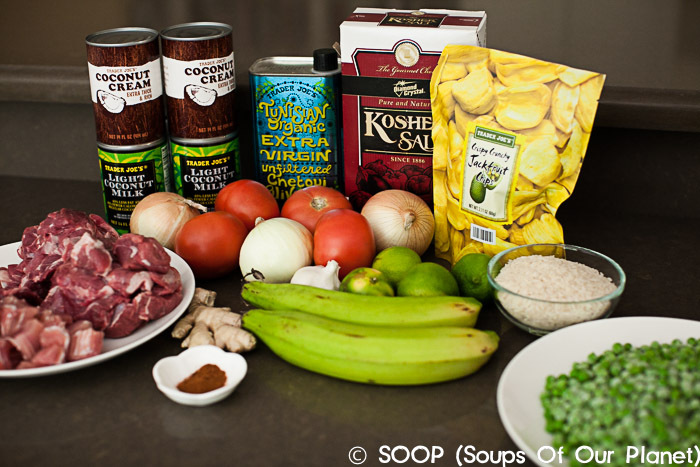 Add the rest of the ingredients (except the coconut milk) and bring to a boil, then reduce to a simmer. Cover and simmer for 25 minutes. 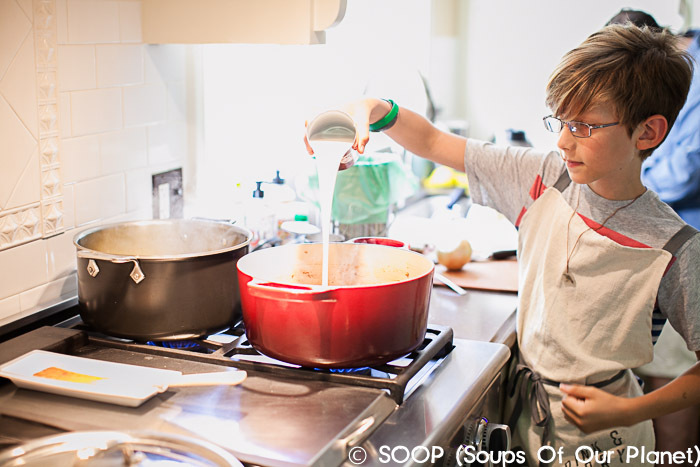 Using an immersion blender (or a regular blender), blend soup until smooth. Add the coconut milk,raise to a simmer just to warm coconut milk. Do not allow it to boil. 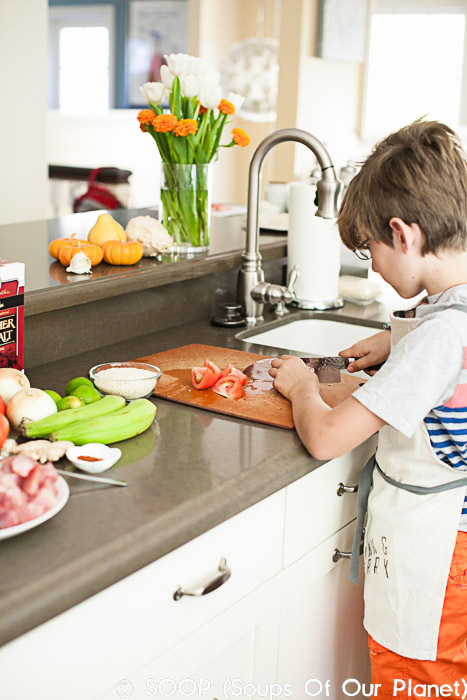 Calvin – today’s sous sous chef. Season goat with salt and cayenne pepper to taste. 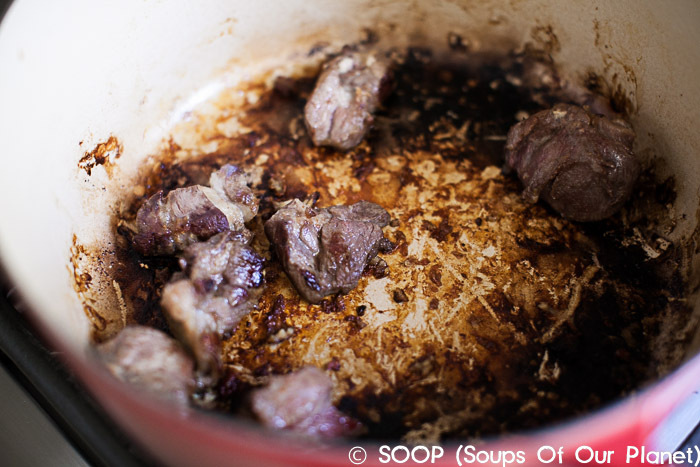 Heat pan to medium high and fry the goat in a little oil until well browned on all sides. Remove from the pan and set aside. 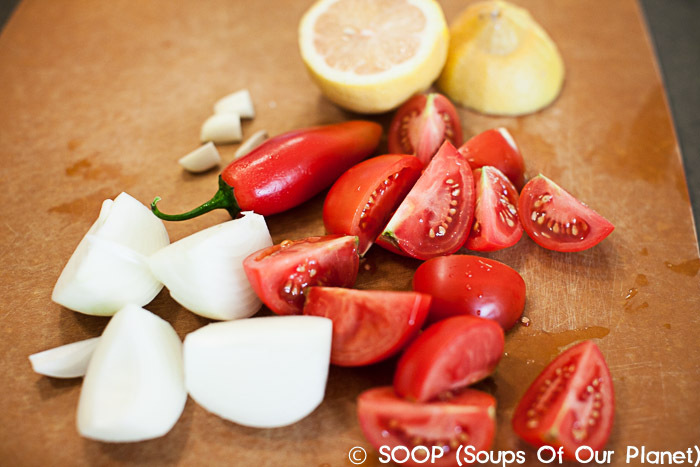 Add the plantains, onions and tomatoes to pan and stir until softened. Return meat to pot. Pour-in the coconut milk and bring to a simmer. Cover and allow to simmer for an hour (add a little water or more coconut milk if it becomes too dry). Season to taste with additional salt or cayenne pepper. 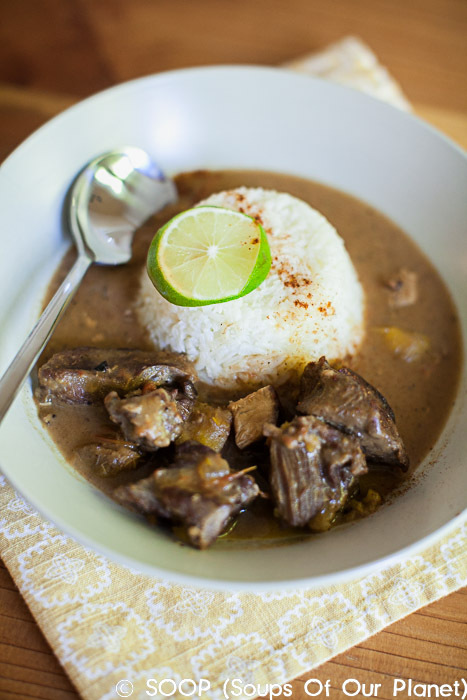 Serve immediately on a bed of white rice with pepper sauce (recipe below) and lime wedges on the side. Place all ingredients (including the peel and pith of the lemon) in a blender or food processor and blend until ingredients form a chunky salsa. 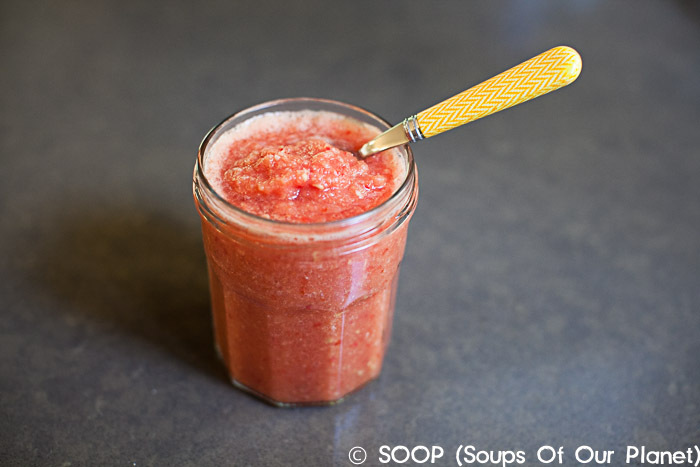 Refrigerate at least 24 hours to allow flavors to blend. Fear not, the spice will mellow out considerably after a few days. *An organic lemon is important becaue you will put the peel into the relish. Standard lemons are often coated with wax and pesticides. Place all ingredients (including the vanilla seeds, but excluding the vanilla sticks) except the rum in a blender. Blend well until smooth. 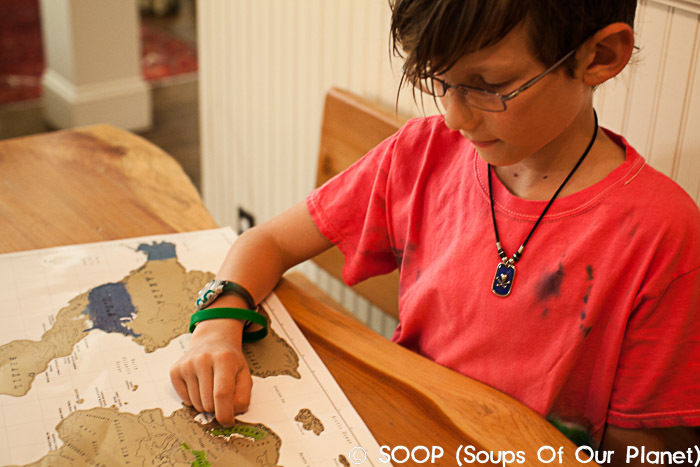 Enter your email address to follow SOOP and receive notifications of new posts by email. "Cooking is like love. It should be entered into with abandon or not at all." 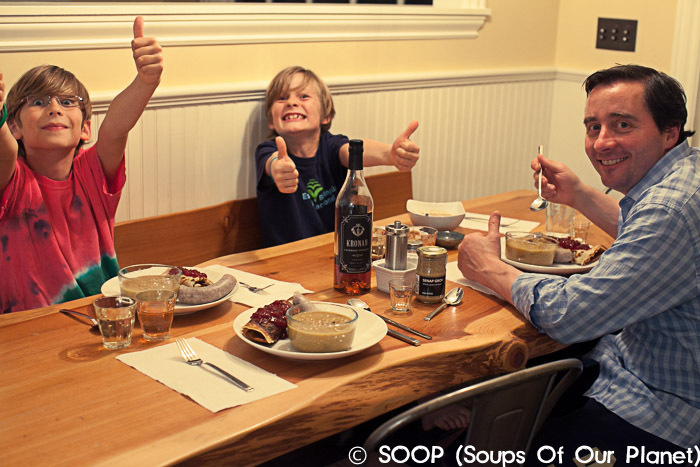 All photographs and recipes copyright 2014 SOOP: Soups Of Our Planet. All rights reserved. 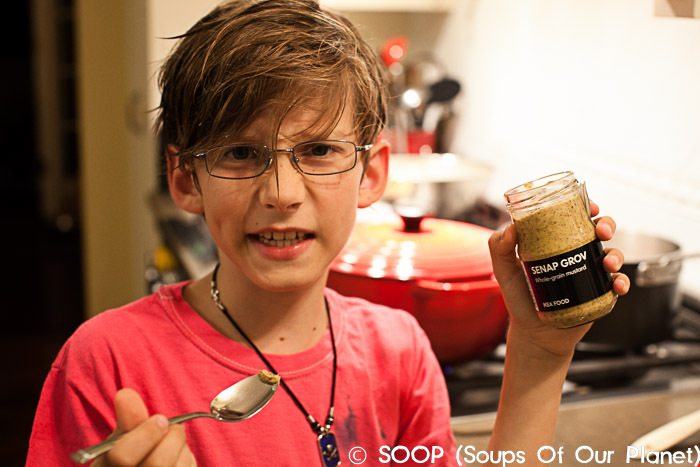 If you would like to use any of them, please drop me a line at cooksoop at gmail.